Magnus Andersson makes his pitch at the Caterpillar Industrial Design Center Wednesday at the Startup Challenge. 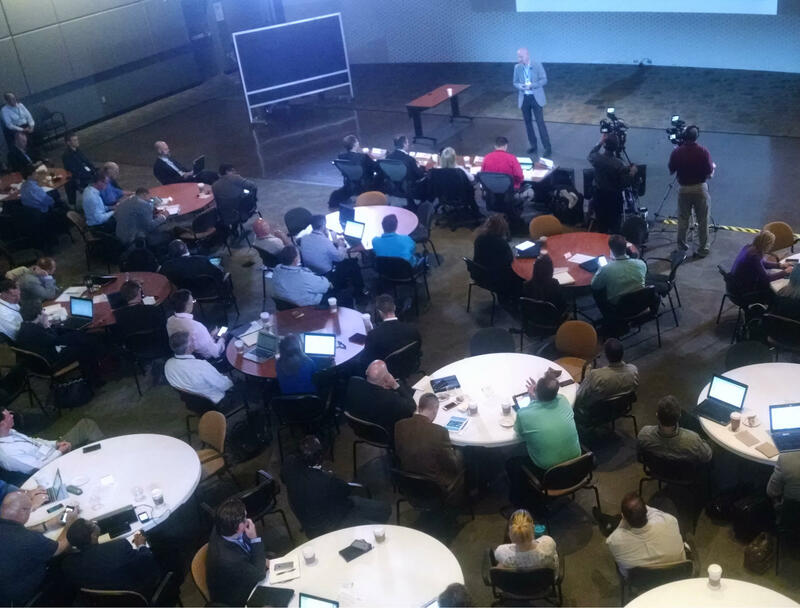 Caterpillar hosted a Startup Challenge Wednesday. 10 different startups pitched their innovations to a panel of experts and an audience of about 100 people. The startups ranged in 3-D printing and analytics to self-healing metal materials. The Caterpillar CFO has said the company will continue to invest in Research and Development this year in spite of the global economic downturn. The Illinois Science and Technology Coalition put together a list of startups that Caterpillar selected for the challenge. The Caterpillar Industrial Design Center in Mossville hosted the challenge. 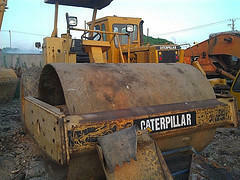 Caterpillar may choose to partner with all, some or none of the 10 startup companies. DECATUR, Ill. (AP) - Caterpillar Inc. has started laying off Decatur workers. Company spokeswoman Rachel Potts confirmed the employee notifications but says the company won't be releasing the total number by location. In September, the Peoria-based manufacturer announced that it's planning another round of job cuts that could exceed 10,000 people through 2018. The company says it'll cut as many as 5,000 people mostly by the end of this year from its salaried and management workforce. Caterpillar is maintaining its dividend rate for this quarter. The company’s board of directors voted to increase the quarterly cash dividend rate to 77-cents per share. Caterpillar CEO Doug Oberhelman says the move allows the company to reward stockholders amid a challenging business environment. Shareholders can collect their dividend November 20th. The dividend is being paid out to stockholders of record at the close of business on October 26th. // Caterpillar announced last month that its planning thousands of job cuts as it struggles with the sagging global economy. Peoria area workers at Caterpillar and other companies who suddenly find themselves out of work will be getting help finding employment in the region.